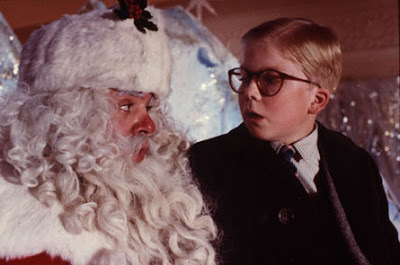 Home » a christmas story , celebration , movies » "You'll shoot your eye out!" "How about a nice football?" I saw it twice in theaters when it came out. First Mom and Dad took my sister, my best friend Chad and I to see it, and then two weeks later our Cub Scout troop watched it together. Good times! In honor of today's occasion, this evening leg lamps will be aglow in living room windows across America. Darren McGavin was one of my all time favorites. Night Stalker was a great low budget show back in the 70's. Christmas Story is one of those movies that I never get tired of watching. Thanks Darren for all the laughs! I don't get the hype. I always thought it was an alright movie. Not sure why this is such a big hit. However in my house the 24hr marathon ran non stop! geese I'm sick of it!